Lendico announced today that it will stop originating new consumer loans in the Dutch market and focus on loans to companies. Een aanvrager is gekwalificeerd als het bedrijf meer dan 2 jaar bestaat en in de afgelopen 2 jaar meer dan € 50.000 omzet had. Sinds we in september 2014 op de Nederlandse markt actief zijn hebben we een veelheid aan verschillende producten ontwikkeld die op de website of voor geselecteerde partners beschikbaar zijn. We willen ons productaanbod de komende maanden herijken en een beperkt aantal producten verder automatiseren en doorontwikkelen. Om dat in alle rust te doen, hebben we besloten om het consumentenkrediet volledig te pauzeren tot minstens januari 2017. P2P Lending Marketplace Crosslend launched last September. The unsecured loans are open for investment for investors in Germany, Spain, UK and the Netherlands. I gave a short overview in my Crosslend review for investors. So far the couple of Crosslend loans, I invested in, are all current. In mid-January Crosslend added Dutch loans and I made a bid on the first Dutch loan listing. The majority of loans are still sought by Spanish borrowers. Currently there are over 50 Spanish loan listings available and also a few German or Dutch ones. Crosslend currently offers a cashback promotion. New and existing investors get 10% cashback on all successful investments made until March, 31th 2016 (up to a maximum bonus amount of 1,000 Euro per investor; further conditions apply, e.g. minimum investment of 250 Euro during promotion period). Investors contemplating to test Crosslend should consider making use of this cashback offer now. What does the Funding Circle / Zencap Deal Mean? The big news at LendIt conference this week in London was that Funding Circle announced the acquisition of German marketplace Zencap. Zencap launched in March 2014 and facilitated SME loans in Germany, the Netherlands and Spain. Working with local teams, the IT infrastructure is run from the headquarter in Berlin. Zencap has originated more than 35M EUR loans since launch with a monthly volume of 4-5M in the last months. The vast majority of this volume was generated in German loans. With the acquisition Zencap will become Funding Circle Central Europe and the founders Matthias Knecht and Christian Grobe will head this division. Knecht confirmed that Funding Circle paid in stock through a stock swap. All existing investors stayed onboard. No details on the valuation were publicly available. Knecht said at Lendit that talks between Funding Circle and Zencap started as early as Lendit 2014. Allegedly Zencap has been trying to raise a new round since May 2015 but struggeled. A source from the VC scene told me that he thinks, that Rocket Internet – the backer of Zencap – might have concluded, that it is more important to prove that Rocket Internet is able to deliver successful exits rather than close another round which might not meet high expectations of onlookers. What does the deal mean for Funding Circle? I feel that Funding Circle essentially invests in the future outlook. The current volumes of Zencap are solid but not spectacular. So essentially the deal enables Funding Circle to jump from serving two markets to five markets (even though NL and ES are very small so far) without starting from scratch. They also get local teams that are familiar with the markets and their circumstances. For Funding Circle Central Europe it means easy access to a large base of institutional investors that are already familiar with the Funding Circle brand and can now diversify into SME loan markets in continental Europe. When I look at the platforms in continental Europe, Zencap is the obvious choice as acquisition target. 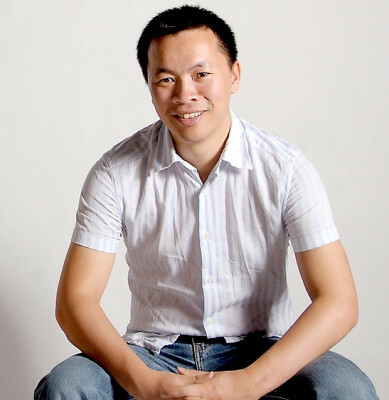 It is the only platform with a SME loan model very similar to Funding Circle that already operated in multiple markets. Knecht said at Lendit that he is looking at Italy and France as markets that look interesting for a further expansion. What does the deal mean for retail investors? Unlike on other marketplaces there will be no cross-border lending for retail investors on Funding Circle. Both Samir and Knecht explain that the mid-term outlook for this is that retail investors will be able to invest into loans in multiple geographies via a coming fund. An investigation initiated by the new management of TrustBuddy AB has indicated serious misconduct within the company. The Board of Directors has informed Nasdaq OMX and the Swedish FSA about the situation, and the FSA has demanded that TrustBuddy is to stop offering its services with immediate effect. As a consequence, the company’s planned rights issue is suspended. The Board of Directors will prepare a control balance sheet and are currently evaluating all available options in order to find a viable solution for all parties. The Company has used lenders’ capital in violation of their instructions, or, without their permission. As a result, there is currently a 44M SEK (approx 4.7M EUR) discrepancy between the amount owed to lenders and the available balance of the client bank accounts. The total amount currently lent out on the platform is approximately 300 MSEK, of which, 37 MSEK is not assigned to lenders. The Company has re-assigned existing loans, a significant portion of which were likely non-performing, to new capital deployed by lenders. The investigation indicates that these practices were likely in place since the TrustBuddy platform began operation. The questionable practices mentioned above, limited to the Company’s short-term lending business, have been stopped with immediate effect. Further, the Board of Directors informed Nasdaq OMX and the Swedish FSA about the findings. Based on the findings, the FSA demanded that TrustBuddy is to stop offering its services with immediate effect. As a consequence, the planned rights issue, scheduled to run from 14 October 2015 to 30 October 2015, is suspended. Due to the severe breaches of the internal and/or external regulation, the Board of Directors has also decided to file a report to the Swedish Police Authority. Crowdfunding – Dutch investors – where to go?! Crowdfunding is growing exponentially in the Netherlands. Although the Dutch market has not yet reached the astronomical levels of the United States and the United Kingdom, many people have heard about the phenomenon and are intrigued by this potential alternative investment opportunity. While the Dutch market speaks a lot about crowdfunding, it is less familiar with the term p2p-lending (it is commonly available though). As this article covers investments in loans, convertible subordinated loans and equity, I will use the general term crowdfunding instead of p2p-lending. In the first 6 months of 2015, almost 50 million Euro was raised via crowdfunding, which is double the amount raised in 2014. There are over 80 crowdfunding platforms active in the Netherlands, which makes it difficult for potential investors to gain an overview of the viable available investment opportunities. This article provides a general overview of the most important platforms active in the Dutch market. Furthermore, I will discuss some relevant topics in relation to crowdfunding, such as: diversification options, costs, default risks, cash flow, types of investment and the added value of a properly managed crowdfunding platform. Loans provide a direct cash flow to the investor as loans are usually repaid in monthly instalments. Loans only have a limited potential upside, maximized at the offered interest rate. Due to the monthly repayments, the risk decreases every month. Most crowdfunding platforms determine the interest rate based on the envisaged risk. As far as I am aware, there are no platforms active in the Netherlands that provide the option to “bid” on loans in auctions. Convertible subordinated loans (also called convertibles) are considered to entail more risk than normal loans as convertibles are subordinated to (normal) loans and other claims. Investors generally expect a higher return in exchange for a higher risk. Instead of offering a higher interest rate, companies issuing convertibles via crowdfunding offer the option to convert these loans into certificates of shares. The option to convert may be restricted by certain conditions such as (i) a specific period in which conversion must take place and/or (ii) the condition that a sophisticated investor invests at least amount “X” during the term of the loan. For an investor it is important to identify any conversion conditions that may apply. If the loan is not converted into certificates of shares during its term, the investor will receive the principal plus interest payments at the end of the term of the loan. These investments might not be interesting for investors looking for a steady cash flow, but they can be interesting for those who want to have a shot at a serious return. Equity is normally being offered in the form of certificates of shares (equal to the convertibles described above). Again, investing in equity does not create a steady cash flow for the investor. The terms and conditions related to the certificates of shares may (and normally will) restrict the option to sell them. Therefore, investors are expected to wait for the moment the entire company is being sold to an investor, which can take a long time. Investing in equity might only be interesting for investors looking for long-term investments. Then again, these investments do have the largest potential upside as the investor will profit from every increase in value once the company is being sold. Each investor takes, or at least should take, the risk of default into account, especially when investing in high-risk companies such as start-ups. Business cases of start-ups have not yet been properly tested and most do not, or hardly have, any financial buffers. Should the financed company go bankrupt, practice shows that only in rare cases (only part of) the loan can be recovered. Normally, preferred creditors such as banks and the tax authorities will receive the benefit of all assets left in the company and there is nothing left for others. Some platforms try to reduce the risk by requesting a personal guarantee of the entrepreneur, but this is of little use if the person does not have any assets. The actual difference between investments in loans, convertibles and equity from a risk perspective is small. Investors having certificates of shares have a larger potential upside than the holders of loans. One could say that investors almost bear the same risk, but with different potential upsides. In my opinion the most important reasons to choose for normal loans are the fixed term and monthly repayments. If you are not in a hurry to make a profit and are going for the highest potential return, convertibles and equity might be a more interesting option. Geldvoorelkaar.nl is the national market leader and funded over 825 projects, with a total sum of over 66,000,000 Euro. The platform focusses on p2p-lending and only provides investors the opportunity to invest in loans. Interest rates range from 4% to 9% depending on the risk score determined by Geldvoorelkaar.nl. All loans are being repaid in monthly instalments as of the first month. By investing in projects via this platform, it is fairly easy to generate a decent cash flow. Up to now, 3.5% of my investments on the platform have defaulted. As the principal of one of the defaulted projects was almost fully paid back, my average ROI still accounts for about 6.5% per year. The other defaulted project was probably a case of bankruptcy fraud, which I expect to happen more often in the future. The platform opens several dozen new projects every week, which creates sufficient opportunities to diversify your portfolio and reinvest your money. An investor must pay a fee equal to 0.3% * loan duration (in years) * invested amount (which amount will be refunded if the project defaults). Oneplanetcrowd claims to be Europe’s leading sustainable crowdfunding platform. Since launching in 2012 it raised over € 6 million in funding for more than 100 projects. Oneplanetcrowd operates in Germany and the Netherlands and is planning to open in other European countries soon. It provides investors the option to invest in loans and convertibles (apart from donations and presale options) and offers some of the most interesting investment opportunities, such as Snappcar and Wakawaka Power. Various projects offer the opportunity to co-invest with sophisticated venture capital firms as these firms invest simultaneously with the crowdfunding campaign. In my opinion, this is a huge advantage for investors as VCs tend to do a thorough due diligence before choosing to invest. The platform only allows companies with a sustainable philosophy to start a campaign on the platform. Their goal is to provide high quality investments with a decent return to investors. Although this is a good niche market, the strategy makes diversification opportunities fairly difficult. Investors do not pay a fee on Oneplanetcrowd. KapitaalOpMaat and Collin Crowdfund are some of the main competitors of Geldvoorelkaar.nl as these platforms focus solely on loans with loan periods ranging from 6 up to 120 months and interest rates of 5.5% up to 9% depending on the calculated risk. Almost 6.5 million Euro and 13 million Euro have been funded via these platforms, respectively. Investors on KapitaalOpMaat pay a one-time transaction fee of 0.9% and a yearly fee of 0.85% on Collin Crowdfunding. Both platforms provide discounts to investors investing more than certain thresholds. Bondora is a European platform offering the opportunity to invest in loans on a European level. Although this is by far the most sophisticated (international) platform available to Dutch investors, its presence is fairly unknown to most Dutch investors. Already more than 35 million Euro has been financed via Bondora. Investors are allowed to choose their own investments on the primary market, but most loans are filled in advance by a bot. Therefore, it will be necessary to invest automatically via the provided bot in order to obtain sufficient loans. This enables the investor to invest in literally thousands of loans differing in purpose, country and risk. All loans are repaid in monthly instalments on a virtual account. Bondora also offers the option to purchase/sell investments to other investors on its secondary market (with a premium/discount) against a fee of 1.5%. Investors do not pay any fees on the primary market. Although Bondora claims an average ROI of 18.75%, many investors complain about the large number of defaults. As the minimum investment is only 5 Euro, the threshold is low. Lendahand is a Netherlands-based online lending platform with the objective to stimulate employment in emerging countries. Small and Medium Enterprises (SMEs) in these countries do not have proper access to financing as they are too small for banks and too large and complex for microfinance institutions. Hence they are not able to grow and percentage-wise only provide half of the jobs that SMEs in developed countries deliver. Financing the ‘missing middle’ leads to significant social impact while leaving room for a solid financial return. On our platform individuals can unlock this potential by choosing promising SMEs to lend to. We call this meso-credit. What are the three main advantages for investors? What are the three main advantages for borrowers? Lendahand cooperates with MFIs. Which criteria do you use when choosing the MFIs you work with? Lendahand carefully selects its local partners by going through a rigorous due diligence process where it assesses, amongst others, the financial position, portfolio quality, and governance. Typically a local partner has a loan portfolio of more than €5mio, a write-off ratio smaller than 2% and equity capital of at least 10% of the total assets. Although the local partners are for-profit organizations, it is a necessary condition that they have a social mindset and intend to offer competitive interest rates to their clients and screen them for environmental and social impact. The local partners take the full credit risk to the SMEs and so have skin in the game. How did you start Lendahand? Is the company funded with venture capital? Lendahand is a social enterprise, i.e. it has a social objective but is run as a business. It was founded in 2011 by Peter Heijen who got intrigued by the ‘missing middle’ and envisioned a solution in crowdfunding. 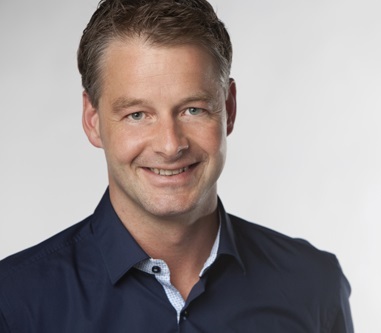 Beginning of 2014 a team was formed: Peter Stolze for marketing and myself for finance and scalability. Lendahand’s funding mix reflects its status as a social enterprise. It was first funded by a subsidy from the Dutch Ministry of Foreign Affairs and a Dutch NGO. Then angel investors came on board. We’ve also obtained funding through crowdfunding (both equity and convertible debt). Later this year we hope to speak to a few VCs as we are planning on a somewhat bigger funding round. Is the technical platform self-developed? Zencap, the German peer-to-company lending marketplace which launched in March 2014, will launch in the Netherlands in February 2015. This is Zencap’s third target market after Germany and Spain. The Zencap team has grown to over 60 employees and Zencap has originated 7 million EUR in loans so far. Trustbuddy has entered into an agreement to acquire Italian Prestiamoci, a long-term Peer-to-Peer (P2P) lender, for a total of EUR 5.3 million in order to strengthen its offering of business loans to small and medium-sized enterprises and consumer credit in most European countries. Furthermore TrustBuddy has agreed to acquire Dutch Geldvoorelkaar for a consideration of EUR10.6m. The consideration comprises EUR 3 million cash, EUR 4 million through the issue of new shares at a 20% premium to the pre-announcement share price and a EUR 3.6 million vendor loan of which 50% is redeemed in January 2016 and 50% redeemed in January 2017. Shares issued as part of the consideration will be subject to lock-up restrictions which expire in January 2016 in respect of 50% of the shares and January 2017 for the remainder. Both acquisitions remain subject to the satisfaction of certain conditions. In particular, the acquisition of Prestiamoci is conditional upon Prestiamoci receiving a payment services, PSD, license. The Company is currently considering various financing options, including a potential equity fundraising, to part finance the acquisitions. 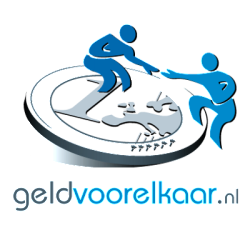 Geldvoorelkaar is the first P2P lending platform with a credit licence issued by the Dutch Financial uthority (AFM). 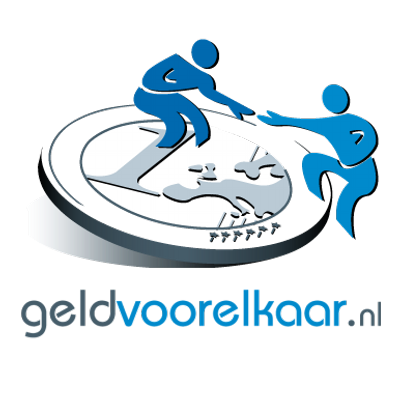 Geldvoorelkaar offers a professional and established alternative source of financing for SMEs. Geldvoorelkaar opens up European SME market opportunities to TrustBuddy. Management believes there to be substantial demand for alternative lending sources in the Nordic market in particular in P2P lending in the Netherlands. Geldvoorelkaar has been fully operational since 2012 and has a c60-65% estimated market share. Year to date, Geldovoorelkaar has funded EUR 20 million of SME loans with an average revenue margin approaching 6% with no active marketing. Subject to the satisfaction of certain conditions, TrustBuddy has agreed to acquire Geldvoorelkaar for a consideration of EUR10.6m. The consideration comprises EUR 3 million cash, EUR 4 million through the issue of new shares at a 20% premium to the pre-announcement share price and a EUR 3.6 million vendor loan of which 50% is redeemed in January 2016 and 50% redeemed in January 2017. Shares issued as part of the consideration will be subject to lock-up restrictions which expire in January 2016 in respect of 50% of the shares and January 2017 for the remainder. Prestiamoci is an Italian private P2P lending company focussing on long term consumer loans. Prestiamoci has established a licenced P2P platform in the highly regulated Italian market. The acquisition is conditional on Prestiamoci obtaining EEA-wide PSD license approval, enabling European roll-out. Prestiamoci re-launched its platform in May 2014 and has since funded EUR 175k with and average revenue margin of 4%. Acquisition adds diversification to TrustBuddy’s existing offering into a product with lower regulatory risk and increased revenue visibility. Prestiamoci’s seasoned management team joining TrustBuddy management will bring significant experience within credit risk assessment. TrustBuddy expects to rollout a consumer instalment loan product in new markets in 2015, and envisages 80% of revenue from this new product from the Nordic markets. Interview with Geldvoorelkaar founder Martijn van Schelven. Geldvoorelkaar.nl is about crowdfunding. We provide funds through our website for both SME as well as consumer lending. We provide loan-based funds. Borrowers borrow money and pay the investors back on annuity basis. Loans are on average 75.000 EUR. At this moment we mediate in approximately 2,500,.000 EUR each month. We facilitate screening on published projects, contracts and payment schedules between borrowers and lenders. Our start up was December 2010 and up till now we have approximately arranged credit for 500 companies. The total amount funded up till now is 31.5 milion EUR of which approximately 17.5 million EUR was funded in 2013. What are the three main advantages for lenders? How did you start Geldvoorelkaar? Is the company funded with venture capital? Me and my companion Edwin Adams were both one of the first franchisees for ING Bank Netherlands. A successful franchise concept which sadly was ended due to reorganisation within the bank. Our own bankshops were bought back by the bank. This money was invested in the development of Geldvoorelkaar. We are 100% independent. The platform was developed based on our own ideas. Centric (http://www.centric.eu/EU/Default) , a software engineer, developed the technical side of our platform and our backoffice.